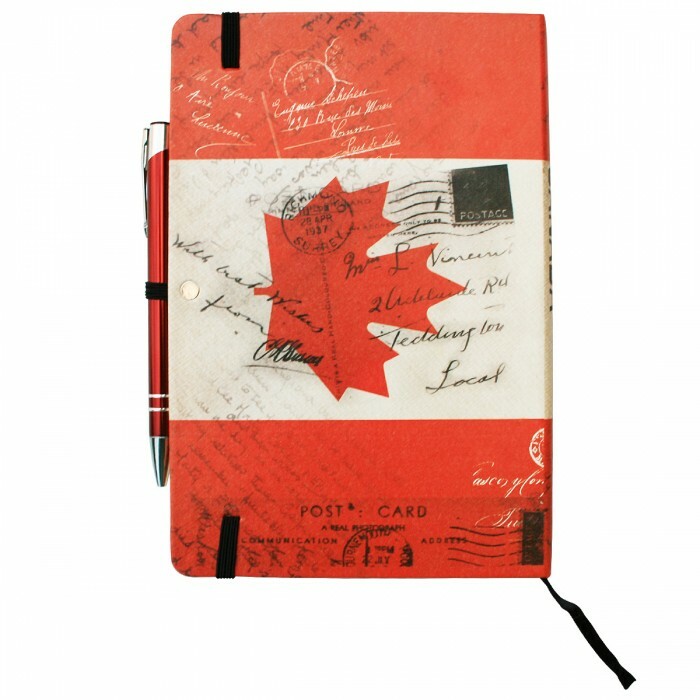 The national flag of Canada. 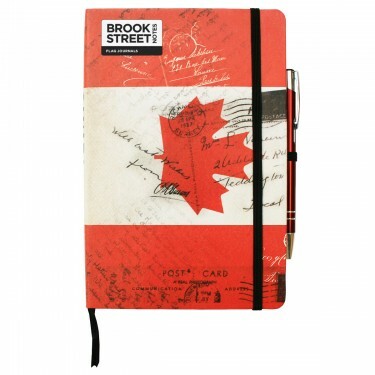 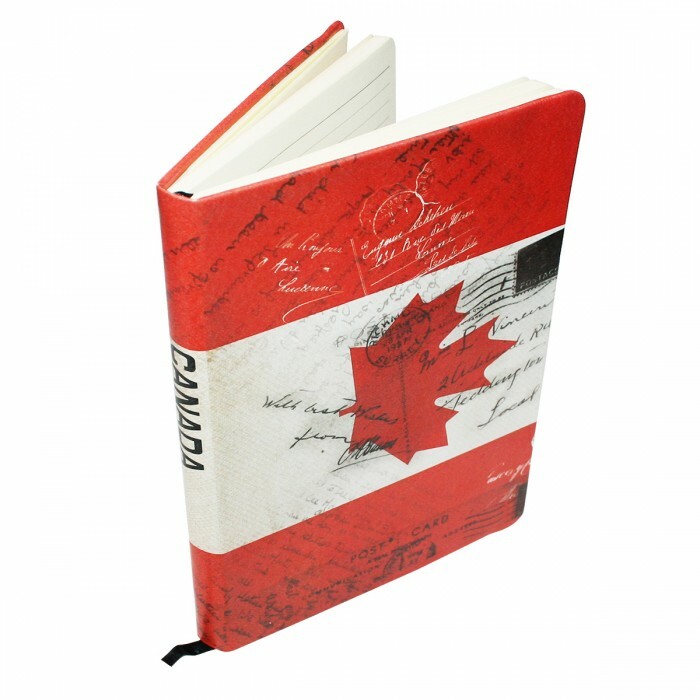 The Maple Leaf is given the well travelled, slightly ditsressed look, this beautifully crafted hardback A5 notebook, covered in a soft feel PU leather. 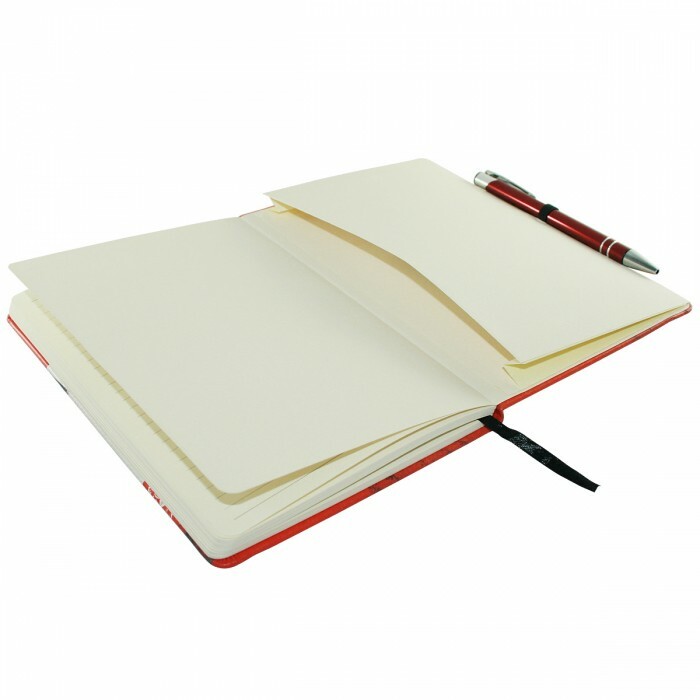 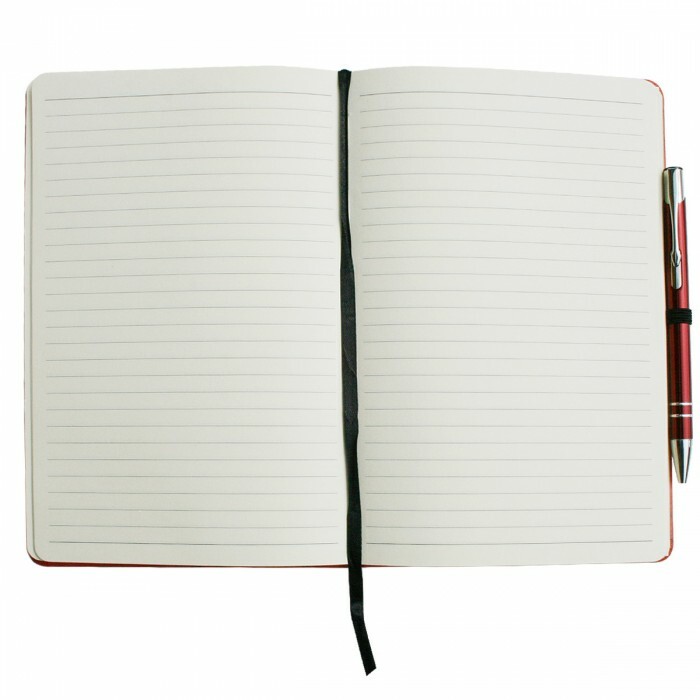 Ideal for notes, passing thoughts and written work. With ribbon marker, pen holder, elasticated close, expandable inside rear pocket and containing 160 lined cream coloured pages. 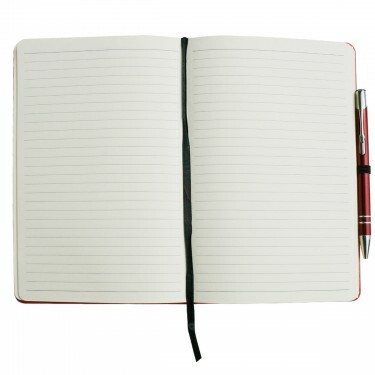 Also includes a colour matched retractable ballpoint pen with a steel fabricated barrel.